Memorial Day weekend is here! This means the unofficial start of summer, and with it, the opening of theme parks. While there are no theme parks right in Northern Virginia, there are some great ones just a short drive away, including the beautiful and world-class Busch Gardens Williamsburg. The award-winning park is always fun and with more to do in a day than there are enough hours. And still the park is adding more rides and attractions! From a new wooden roller coaster to evening concerts and new treats to enjoy, here are some of the additional ways you can enjoy a day at Busch Gardens in the 2017 summer season. While the ride is thrilling, it’s accessible to many: with a height requirement of just 46″, it’s a family attraction that the part sates will serve as “the next step” for any young thrill seeker. Busch Gardens President David Cromwell said InvadR is “perfect for children ready to ride their first big coaster – a “Ride of Passage,” if you will. But trust me, this is a big-time thrill.” InvadR is one of eight roller coasters at the park. If great thrills and shows are not enough, here’s more: in July and August, Busch Gardens becomes a cooler place after dark during Summer Nights, a new concert series presented by Coca-Cola ®. Special entertainment, culinary experiences and a fun nighttime atmosphere will give guests a new reason to visit during summer evenings. The concerts will feature popular rock, pop, country and contemporary Christian performers live under the stars in the Royal Palace Theatre. The line-up includes newer stars and long-loved musicians. Who can you expect to see? Josh Turner, 38 Special, Mercy Me, Lifehouse, Kool and the Gang, Chase Bryant, Cassadee Pope, Rand Collective, Lifehouse, Jeremy Camp, Switchfoot, and NE-YO. Best of all, you can see these great concerts free with park admission. I am really psyched for this and have already warned my family that I may be driving to Busch Gardens every weekend this summer. Really… I may as well just move to Williamsburg! Two special shows also join the Summer Nights line-up. Britmania™, a new musical revue featuring British hits from the 1960s to today, debuts June 30, and will be performed throughout the day in the Globe Theatre. All For One™ returns for its second season with new action and adventure. The swashbuckling tale of the Three Musketeers runs nightly in the Royal Palace Theatre from June 30 through September 3, except for concert Saturdays. With its themed areas that recall Germany, Italy, England, and France, you can always find good food at Busch Gardens Williamsburg. In the summer the park kicks it up a notch with the Food & Wine Festival, featuring an international showcase of new food items and savory drinks. The six-week festival, on weekends from May 26 through July 2, is included with park admission. Three new kiosks make their debut in 2017: India, Mediterranean, and Island Freeze Frozen Drinks. The festival gives guests the opportunity to sample a variety of food and beverages not normally served in the park. You can enjoy treats from 15 themed kiosks while strolling through what has often been called the world’s most beautiful theme park. What’s new this year? 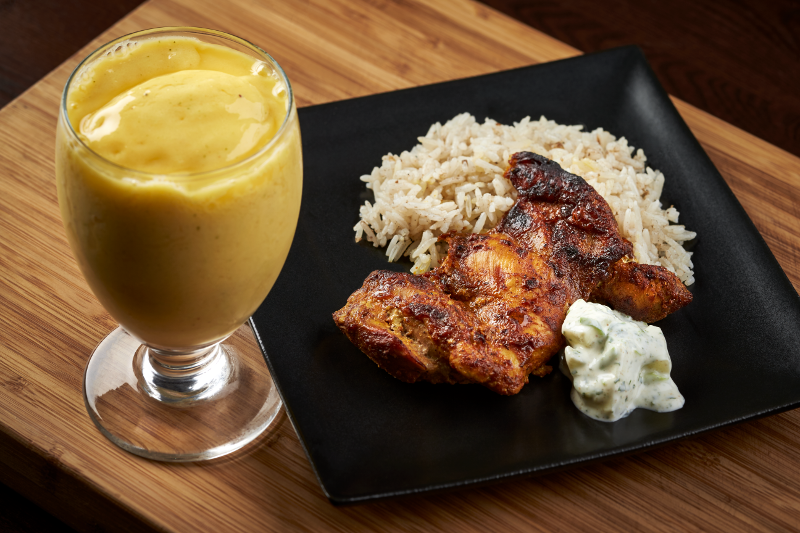 At the India kiosk, you can sample tandoori chicken, samosas, spicy potato curry, mango burfi, mango mint lassi, and masala chai iced tea. The Mediterranean kiosk will have halloumi, lamb burger slider, falafel, baklava, Elios Mediterranean red and white wines, Ouzo cocktails, and iced café au lait. 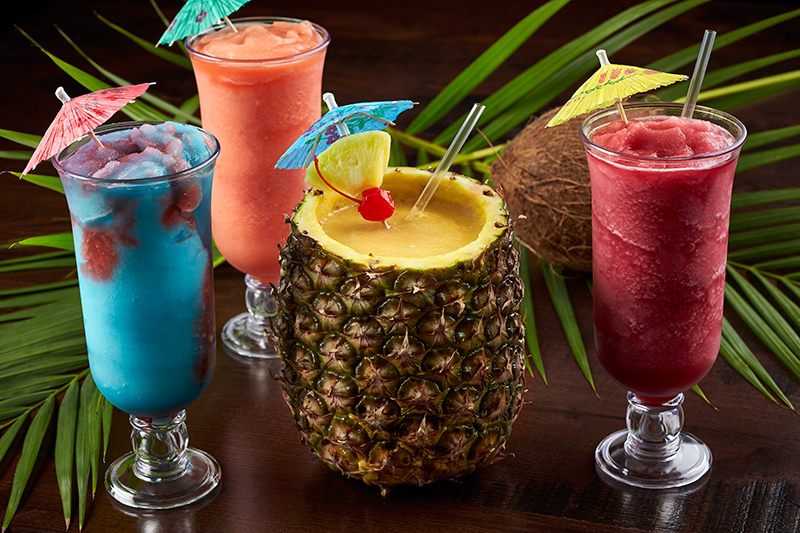 And Island Freeze will feature frozen rum runners, mojitos, piña coladas, Bahama Mamas, sangrias, strawberry daiquiris, Shark Bites, and Bellinis. The Food & Wine Festival also will feature chef demonstrations and wine pairings. When the festival is over, there is still some new food to enjoy: the park has a new snack shop where you can order fresh-cut fries with a variety of toppings, from cheese curds and crumbled bacon to homemade chili and carnitas pork. Les Frites is located in the France villa. With so much to enjoy, it makes good sense to just buy an annual pass — something that many people in Northern Virginia already do. Annual passes provide members with free parking, discounts, and more. Consider doubling up and getting a dual pass so you also can enjoy Water Country USA, Busch Gardens Williamsburg’s sister park! This is just down the street and is a terrific water park! Disclosure: I am a Busch Gardens Thrill Chaser (ambassador) and my family receives complimentary membership and other benefits to Busch Gardens and Water Country USA. The opinions in this post, as always, are strictly my own — we love these parks, perks or no perks! 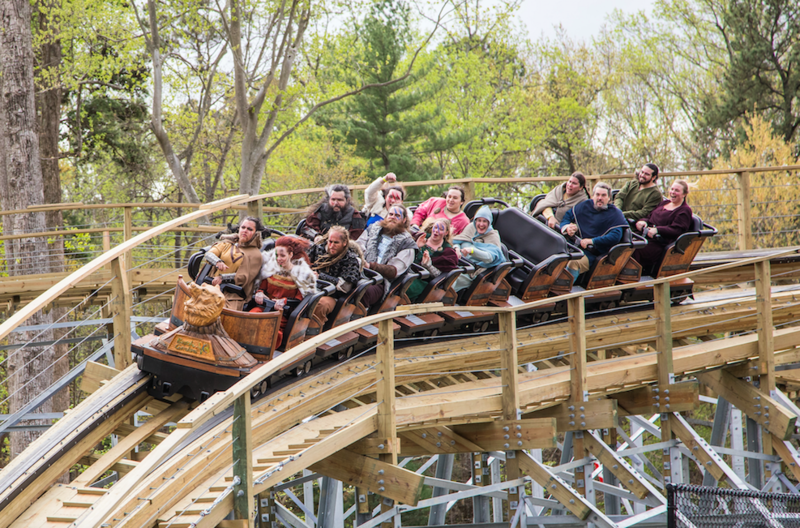 Share the post "Summer fun: What’s new at Busch Gardens Williamsburg"